Effective Trustees are Christian stewards of the property God has entrusted to the congregation. Effective trustees supervise and maintain the property of your congregation to ensure that disciple-making ministries of the congregation are effective and that local legal requirements related to the property are satisfied. Who is qualified for this job? Spiritual gifts: servanthood, helping/assistance, administration, giving, and evangelism. Trustees should be people with knowledge and skills for property and asset management, have the ability to listen to and communicate with people of all ages, and work well with other ministry leaders. Trustees should show genuine interest in responding to the hopes and concerns of people in the community and a willingness to partner with community interests. The Trustees chairperson should show evidence of prior effective ministry leadership, especially in the area of stewardship of assets, and show evidence of active and growing discipleship, the ability to preside over meetings, the ability to delegate responsibility and follow up in getting the job done. The Board of Trustees shall be composed of not fewer than three nor more than nine persons. Trustees shall be of legal age as defined by law, and 2/3 shall be professing members of the United Methodist Church. No pastor is a voting member unless elected as a member. Legal requirements for trustees of property are outlined in the United Methodist Book of Discipline 2008, ¶2524 through 2550. Trustees, subject to the direction of the charge conference, have oversight and care of all local church property, buildings, and equipment in order to accomplish the mission of the church. This is done in consultation with the pastor. Trustees need to engage in spiritual practices that build a relationship of attentiveness to God's will and direction. Church administration and attentiveness to daily affairs can distract trustees from the mission of making disciples of Jesus Christ for the transformation of the world. Trustees need to hold one another accountable to the mission and vision of the church. Trustees receive and administer all gifts made to the congregation, making certain that trust funds of the congregation are invested properly. Bequests and gifts to endowment projects can, by direction of the charge conference, be directed to a special endowment or legacy committee. This committee will promote, invest, and distribute the proceeds from these gifts. 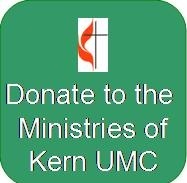 Congregations should seek assistance from their conference or area United Methodist Foundation. Trustees annually review property, liability, and crime insurance coverage on church-owned property, buildings, and equipment. The team also reviews personnel insurance for protection against risk, and consults with the Staff Parish Relations Committee about other personnel insurance. Trustees conduct an annual accessibility audit of buildings and grounds to discover and then work toward eliminating barriers that impede full participation of all people. The team submits annual budget requests to the Finance Committee for property maintenance and improvement, as well as new property purchases. Trustees are accountable to the charge conference and the Leadership Council. The term "trustees" as used in the United Methodist Book of Discipline, may be construed to be synonymous "director" of corporations when required to comply with law.